Are you using Listingbook? Why not?!! The basic account is FREE and it is a fantastic tool for you to use to make more money in your real estate business! Not only is it valuable for Buyers who wish to search either FMLS or GAMLS (& you can keep them on YOUR ListingBook website) but the reports available for your Sellers are invaluable as well! The public can only access Listingbook through an agent… make sure that agent is YOU! Listingbook allows the Buyer to search just like an agent and provides them access to Multiple Listing Service (MLS) data, public records, recent and past sales, community and school information, taxes, loan calculator, shopping and recreation, and much more. Listingbook has the most accurate, comprehensive, and up-to-date information including MLS data and public records. Searching is on their terms and made easy with custom mapping tools and property features – and you can rest assured the data is accurate – no need to worry about looking at homes that are no longer available. If a person is selling your home, they will see sales trends from their neighborhood, competitive listings sent daily to their inbox, performance statistics, and updates. Your Seller’s listing will have its own web site and complete, accurate and updated data will help you have a fact-based discussion about pricing and avoid misleading estimates of your home’s value. Research in-depth community demographic information in the area that surrounds each property. With Listingbook, a Buyer can make an informed purchase decision. You can see your client’s and prospect’s search behavior and get a summary of the prior day’s activity. You’ll know who are just looking and who are serious buyers. Sales Trend Report: Sell listings faster by getting them priced right from the beginning or getting price reductions by showing them recent area sales. Monthly Summary Report: Save your time in preparing reports or setting meetings by automatically providing each seller a monthly report on the number of views and favorites by buyers and agents, appointment activity, and new competitive listings. Listing Activity Report: Help retain listings by keeping clients informed on the total number of views their listing receives, last activity dates, and Property Promotion results. How easy is it for potential clients to find you? How do you present professional credentials and expertise? Today, serious Real Estate Agents are expected to have their own web site and now through Listingbook you can have a cutting edge, branded, lead generating web site at a fraction of the cost you’d pay elsewhere. You’re in control and can edit and customize content as much as you want but your listings will be dynamically placed on your site through the MLS and presented as an interactive “mini” web site – sure to impress your listing clients and prospects. Your site will also provide in depth area and community information including school profiles and community characteristics that portray you as the area expert. Of course visitors to your site can quickly and easily sign up for a Listingbook account and begin a relationship with you. The Listingbook Business Builder Web Site is just that – a business builder for you. Custom Flyers: Create impressive marketing flyers for your listings in just seconds. With a few clicks of your mouse, create the professional flyer you need to market your listing. Need to print additional flyers? All of your custom flyers are stored in your account and the property information on your flyers is updated automatically each time a change is made to the listing. Showing Packages: Easily create professional showing packages for your buyers each time you show them a property! Provide property information from the MLS, photos and a place to write notes. With Listingbook’s Showing Package, you can even provide your buyers with a property checklist to use while visiting the property. Is there a mismatch between your clients’ expectations and the reality of your local market? It’s your job to bring them back to reality. I’m hearing it everywhere: Unreasonable buyers and sellers are on the loose! Buyers read about the weak housing market and assume they’ll find a major bargain, while sellers are still unwilling to accept that their ideal asking price is too high. But I’m not here to hold your hand and commiserate about how hard it is to deal with unrealistic clients. In fact, it’s my view that if your clients are being unreasonable, it’s your job as their real estate practitioner to bring them back to reality. First you must acknowledge that your “unreasonable” buyers and sellers are that way for a reason. They got their expectations from somewhere. Buyers are inundated with negative coverage of the national housing market from their trusted media outlets, and are often overwhelmed with their choices. Sellers, meanwhile, might be stuck on the selling price of their neighbor’s house three years ago, and can’t come to terms with today’s market realities. Both buyers and sellers base their expectations on what they believe to be good information; they don’t intend to be unreasonable. Rather, they believe they are being entirely reasonable based on the information they have. Therefore, in the initial meeting with the clients you need to address their expectations of the market and their expectations of you. Don’t wait until they start to get upset or frustrated with you; it’s too late then. You have to deal with it up front. Here’s how. It’s your job to explain to buyers that while there are a lot of houses on the market right now, they don’t need to see all of them to make a good choice. They need to know that you have been previewing the properties in their price range and will show them the houses that meet their needs. Tell them that if you understand what they’re looking for, you should be able to find their house within six showings – and you’ll probably find it before then. Inform them that if you haven’t found their house after six houses, then you would like to arrange another meeting to discuss their search criteria in detail to make sure that something hasn’t changed. No one wants to waste time. If you can convince buyers that they’re going to find a great house with very little hassle and time wasted, they should be happy to follow your plans. If you can’t convince them, you must accept the fact that you’ll be showing lots and lots of homes before your clients make a purchasing decision. Sellers may be happier with their heads in the sand, but it’s practically impossible for them to have missed news and commentary on the softer housing market (and many investor offers.) Although some markets are exceptions, home owners probably aren’t going to be able to sell their property for as much as they could have sold it five years ago. However, they still will be tempted to “test” the market with a price that’s not going to garner very much buying activity. That’s why it’s so important that you’re prepared to address their assumptions. What’s the best way to bring sellers back to reality? Show them the numbers. Gather the evidence from your local MLS and REALTOR® association to show that a home priced too high will languish on the market.Calculate the local absorption rate, and explain that pricing real estate is based on supply and demand, just like in other industries. You also can show the sellers examples of local properties that have stood on the market for six or more months. Do a market analysis of comparable sold homes. Nothing gets sellers more serious, more quickly than seeing the market in action. Give the sellers a reasonable expectation of when the house should sell, and tell them that they shouldn’t even think about worrying until after that date. Write that date on a calendar in their home or have them put it in their PDA. Then give them something else to focus on. Walk in with a list of things that they can be doing to improve the value of their home or to help in the marketing. If they’re focusing on a “To Do” list, then they don’t have as much time to sit and wonder why the home hasn’t sold yet. Yes, that’s right. In your meetings with sellers, you have to prepare them for the fact that at some point, they may become frustrated or mad at you. When things aren’t going well, people naturally look for a scapegoat, and that scapegoat is often you. If you prepare them for the fact that this is likely going to happen – even though you’ve been doing your job well – then they can be alert to avoid it. And, if it does happen, you can acknowledge that you prepared them for it, which can help to diffuse the situation. As you can see, I started by validating the sellers’ feelings. I would like to get them $400,000. No one wants to tell sellers that they aren’t going to get what they had hoped for. It costs you nothing to share that with them, and it goes a long way for improving their outlook. When you validate their feelings, they can then listen to what you have to say about the facts. If you ignore their feelings, then they will argue with you until the cows come home. The answer to this question will tell you whether they’re living in denial or not. If they stick to their guns, they are still living in denial. Offer them the option to sleep on it and review the numbers on their own, and then meet again tomorrow when they’ve had a chance to really take in the information. If they don’t get real, don’t take the listing. 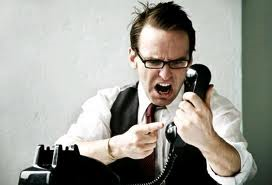 The fastest way to have a roster full of unreasonable clients is to take on listings from sellers who are in denial. As a real estate professional, you’re the authority on your local housing market. That’s one of the most important values you bring to your clients. You must use your communication skills and your ability to interpret real estate data to convey current market conditions and help them make an informed, rational decision. When you have clients or prospects that are being unreasonable, it’s your job to help them revise their expectations based on the market reality. If you’re clear about what they can expect, and you do a good job of communicating it, you will be well on your way to a business full of completely reasonable clients. 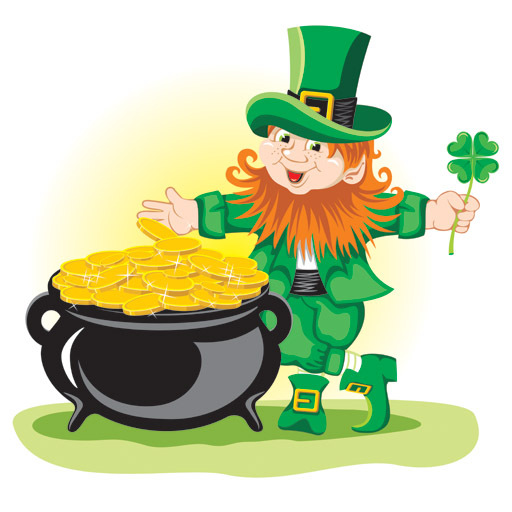 Financially successful people in the real estate business attribute their success to two things: luck & timing! The good news is that there is more than one way to put yourself in a position to meet others who need your services and get those magical two elements to coincide! Keen preparation and the ability to effectively communicate what you know and how it can help others is the key that turns that timing INTO luck for you to achieve success in this real estate sales business that you have chosen to pursue. In today’s market with the relative shortage of inventory, you should be soliciting Sellers! You will have more frequent closings and provide a valuable service to the Buyers seeking a new home! 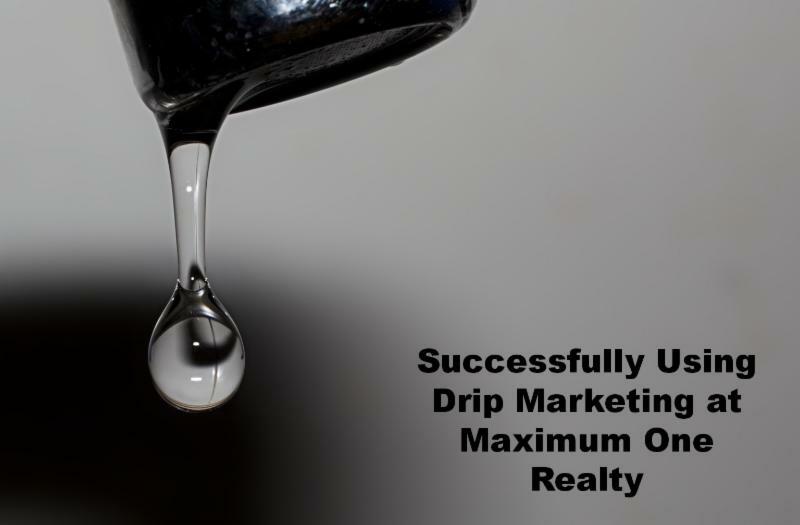 One method to get more listings is to implement a “Drip Campaign” for those potential sellers! A Drip campaign is an automated process which nurtures leads to a sales-ready state. Don’t know what to “drip?” Consider using the Drip Campaign already created for you in the new Extranet / WolfConnect! Letter 1: Thinking of Selling? Letter 7: Which Months Bring the Highest Prices? All of these email letters end with a “Call to Action” designed to create a listing appointment for you which leads to a listing and then to a closing! Go to www.eAGENTweb.com and click on “Extranet.” Log in and then go to “Leads/Contacts” and then to “Drip Campaigns” then “Campaigns”and launch the campaign “Thinking of Selling.” You may customize the letters, add additional letters, alter the already-scheduled time frames for emailing the letters. Click here for the Drip Marketing Manual in the new Extranet. This is just a short note to introduce myself to you. I have made a commitment to provide the very best of service to the residents of your neighborhood in all their real estate needs. I welcome the opportunity to explain my personal service policy and illustrate a model marketing plan which I have developed for your area. Even if you are just curious about market values in your neighborhood, do not hesitate to call. Let me provide your family, friends, neighbors, and co-workers with the finest real estate information and services available. Referrals are the lifeblood of my business! Before they buy or sell, have them call me for a free consultation. …Watching the “sold” sign go up on your front yard knowing you’ve found a buyer happy to pay top dollar for a home like yours. …Leaving your worries behind as you drive off to move into your dream house in a new area that has everything you’ve always wanted. …Having friends over to see your new house and confessing your monthly payment isn’t much different than the old place but with a lot more space. But first you have to get your current home sold at the right price. In fact, pricing your home correctly is the key to selling it quickly in today’s market. The truth is many properties never sell, and the listings “expire” without attracting a buyer, because they’re priced beyond the market. I’ve studied those expired listings and have learned from experience, you only have one chance to make a first impression. The worst thing that can happen when selling a home is watching it sit on the market, week after week, month after month, with no one making a purchase offer. Buyers may look at the home but they simply don’t come through with a contract. For sellers, every extra month on the market is another wasted mortgage payment they could be making toward a new house. Why does this happen? Most often, it’s because the sellers have priced the home above the market. Reducing the price is usually necessary. There are other ways to bring buyers to the contract table. They’re called “incentives,” and you can use them to ensure the fast sale of your home by plugging them into your marketing plan at the outset. My experience will ensure that you sell your home quickly at the right price. Please give me a call for a FREE consultation. Give me a call today and I’ll be happy to fill you in on the common mistakes some sellers make when negotiating the sale of their homes. Then you will be in the best position possible to plan a selling strategy that has the “For Sale” sign out of your yard in record time! What is the secret today’s savvy sellers have learned that’s helping them sell fast for top dollar? They’re cleaning up in today’s market, then rolling over their equity into a better home without changing their monthly payment significantly. Does this sound too good to be true? Nope. I see it every day. But those sellers know the secret to selling fast in today’s market. Not price. Not condition. Not location. But a critical secret only industry insiders know from experience: Buyer incentives. Interested? If you’d like me to show you how I would market your home to get the highest possible price in today’s market, give me a call. I’d be happy to help you sort through all the buyer incentives to find those that will attract buyers like a magnet to your property. Want to know which months bring the highest prices when you sell and which ones you should do your best to avoid buying in? No question is too small. Are you looking to move within 1-3 months? 3-6 months? or 6+ months? The questions you ask and answer will help me serve you better. Customer/client satisfaction is my #1 goal! Before you move, do not forget to empty your gas tanks from lawn mowers or gas grills. And, clean all your outdoor equipment. Toss out everything from the garage that you don’t really need and/or will not be moving…get a head-start. Contact me today! First you need to find the people who wish to move. As a real estate agent there are two methods of finding sellers and buyers: 1) have these people come to you, or 2) you go seek out these people. The first method is also referred to as “Direct Response Marketing” and the latter is often referred to as “Prospecting.” Whichever method you choose (or if you pursue of combination of both methods) it’s time to ramp up your efforts and have more conversations! Direct response marketing is designed to prompt the consumer to take action to respond to the action you have asked of them (i.e. contact you regarding real estate.) A direct response ad is very common in real estate. You are encouraged to use some “call to action” in your marketing to compel the consumer to contact you. You may use Direct Response Marketing in any and all of the methods you use to reach out to people in your business: sending post cards, internet advertising, your blog, your YouTube channel, your VisualTour piece, your email drip campaign, your pay-per-click ads, your Facebook & Twitter posts, etc. This method is extremely effective the more you narrow your niche audience. When you do targeted prospecting (i.e. Expireds, FSBOs & WDs) you’ll get a much higher percentage of appointments; afterall, these people have already identified themselves to you as wanting to sell their home! Commit to yourself to prospect 2 hours each day and you will see an increase in your income! Additionally, prospecting costs little to nothing! There are services whom you can pay to send you a list of all the Expired & FSBO listings in your area with the owner’s names and phone numbers or you can simply pull the newly expired listings from the listing service every day. Whichever technique you use to generate business, the trick is to have more conversations specific to helping other buy and sell real estate. 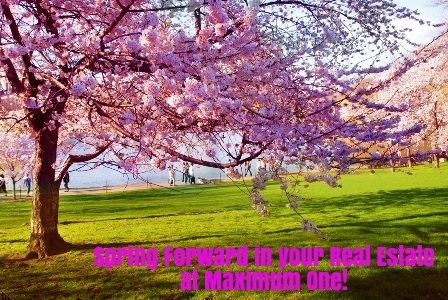 Spring forward into action and you will fall into more clients and more income!